Among its key strategies, the Stateless Dignity Project utilizes freelance journalism, public statements, and social media as tools in drawing attention to and advocating for statelessness issues and stateless groups around the world. In particular, we work to publish in media outlets around the world, decrying abuses against stateless groups and urging the international community to commit time and resources to their needs. If you are an editor or representative of a web- or print-based news organization seeking journalistic content uniquely tailored to your publication that SDP can offer, or If you have an idea for an article topic relating to one or more statelessness issues, then please do not hesitate to contact us directly. And if you are a budding activist or journalist interested in publishing with the support of the SDP, please see our Opportunities page for further information. A group of Rohingya refugees at the Kutupalong refugee camp in Bangladesh. Photo by Munir uz Zaman/AFP. Published on the anniversary of the events that launched the Rohingya crisis (dubbed Rohingya Genocide Remembrance Day by various activist groups), Ashley S. Kinseth argues forcefully for world governments and the United Nations to acknowledge irrefutable evidence of Myanmar’s genocidal intent: one of the key legal components in proving “genocide.” Under international law, such recognition by governments is seen as obligating those nations to act to put an end to the atrocities and work to quash impunity—a fact that, unfortunately, often leaves governments wary of the term until it is too late. A number of articles released on this key date were considered influential in moving the United Nations to ultimately release a statement two days later in which it recognized the Rohingya crisis as a “genocide” in accordance with international law. Significantly, the statement accepts the ever-growing body of evidence of Myanmar’s genocidal intent—among the most difficult legal elements to prove. 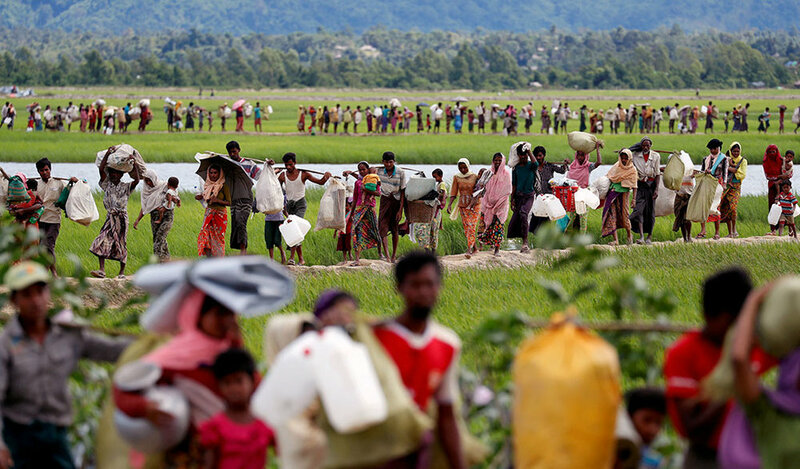 Rohingya refugees, who crossed the border from Myanmar, walk after they received permission from the Bangladeshi army to continue on to the refugee camps, in Palang Khali, near Cox's Bazar, Bangladesh. October 19, 2017. Photo by Reuters. Through the lens of her own personal experiences in Northern Rakhine State on the eve of the Rohingya crisis, as well as personally gathered testimony, Ashley S. Kinseth explores the likelihood of Myanmar’s meticulous genocidal preparations. In doing so, she challenges the dominant “August 25 narrative” and encourages others who were present in the region to speak out as to their own observations and experiences. 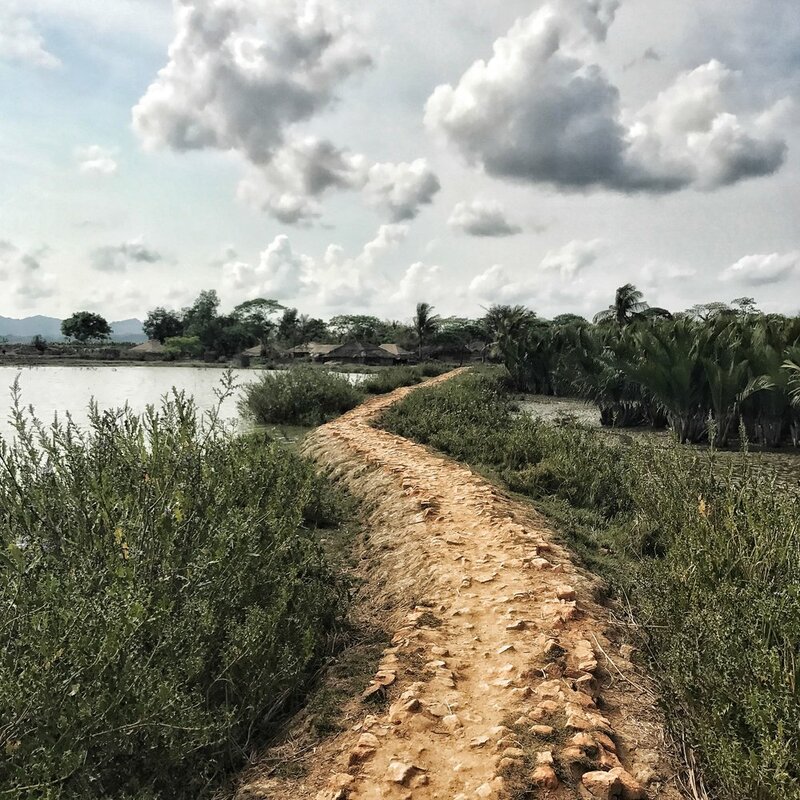 Path to a Rohingya village in Northern Rakhine State, July 2017. Photo by Ashley S. Kinseth. Ashley S. Kinseth muses on the recent Myanmar-Bangladesh repatriation accord, expressing concern that repatriation is rushed to provide the international community an "easy out"—effectively freeing it of the responsibility to take meaningful action in the face of genocide—and ultimately taking the international community to task for its failure to seriously consider the best interests of the Rohingya population. Yangon resident accesses Facebook on his smartphone. Photo by Asian Development Bank. This work is licensed under a Creative Commons Attribution-NonCommercial-NoDerivs 2.0 Generic License. Ashley S. Kinseth probes the relationship between social media and conflict and its evolution over the past year, lamenting the use of technology to disseminate misinformation at never-before-seen speeds, to spread viral and dangerous hate speech, and ultimately, to bring out the most base aspects of human nature and instincts. Rohingya refugees wait behind a barrier. Photo by Showkat Shafi, Al Jazeera. Ashley S. Kinseth relies on both international law and realpolitik considerations in decrying global reluctance to utter the word 'genocide' in reference to persecution of the Rohingya, observing in particular Myanmar security forces' perpetration of at least four of the five genocidal acts outlined in the 1948 Genocide Convention.